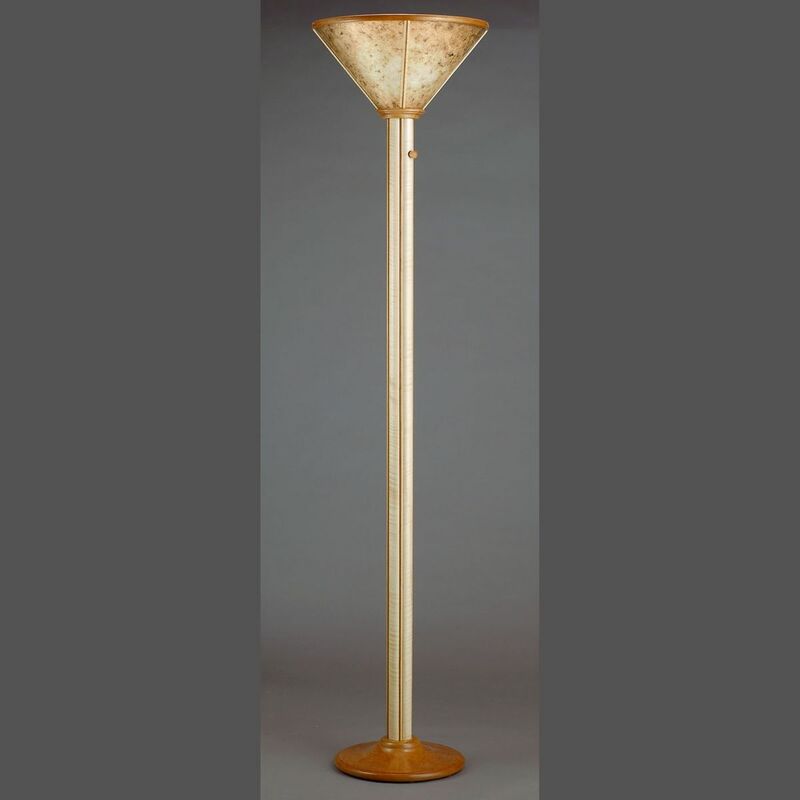 This torchiere floor lamp has a central column of curly maple, with cherry accent nosings inlaid into the column. The base is a solid cherry turning, 2 1/2" thick. The shade is a joined wood frame that houses 4 pieces of light "silver" mica. A dimmer is set into the column. It controls a 300 watt reflector bulb, although any bulb with a standard screw base can be used. Variations on this lamp for ordering can be seen on another page.